In comparison with long-term average June was substandard as to the temperature and above-average as to the precipitation. The most rainfalls came during storms and just slight and rare harm of hops was caused by hails. Hop plants reached 7m height (the top of the trellis) in the majority of areas. Hops are in the phase of creation of side shoots. 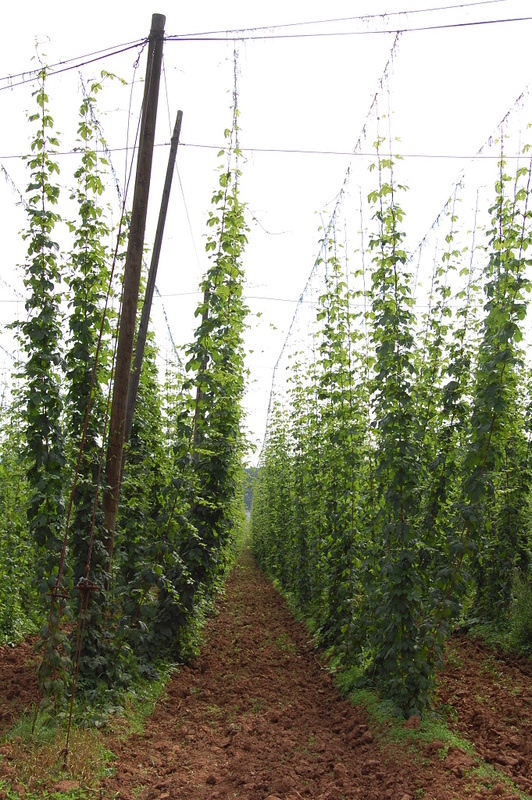 Chemical treatment against Peronospora was applied in June in all hop areas.In some of areas where hop plant pests occured the treatment against hop aphid and flea beetle was applied. The health state of hops is good. Picture from June 30th shows the average hop-plant state.